In the South Winnipeg-St. Norbert ward, many residential properties have been turned into virtual parking lots (around the University of Manitoba and in nearby communities), with excessive numbers of vehicles being parked in these areas. This new Winnipeg Parking By-Law will fundamentally change the way the City deals with excessive parking on private residential property, in a positive and timely manner. For more details, please see New Restrictions re Vehicles on Residential Property. A new streamlined consolidated parking by-law comes into effect on September 1, 2016. The new Winnipeg Parking By-Law creates a point of reference for citizens to find most parking regulations. It also addresses changes that have occurred in the City, its traffic patterns and developments in technology. The ability to pay for 30 additional minutes after the initial maximum paid parking time limit has expired. The ability to obtain a Temporary Recreational Vehicle Permit to allow parking for up to 3 days, rather than the previous one hour limit. The requirement to move your vehicle to a different block once the maximum allowable time posted expires. 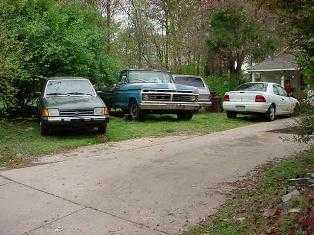 Making the rules about the number, type and location of vehicles parked on residential properties a parking offence as well as a zoning violation. This allows enforcement by the WPA in addition to other by-law enforcement officers in the City. A change that requires street work signs to be posted 24 hours in advance of scheduled street work rather than in as little as 6 hours in advance in some circumstances. A requirement that vehicles parked on a street cannot be connected to an electrical cord or wire that crosses the edge of the street.